Prepare to treat patients and save lives. Get the knowledge and skills you need to excel in your career. 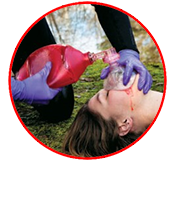 Our 6 day Emergency Medical Responder (EMR) course. Provide immediate lifesaving care to critical patients. 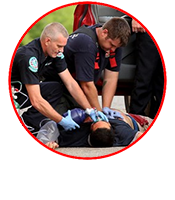 Includes 14-Day accelerated EMT-Basic course. Train for certification and gain real hands-on experience. 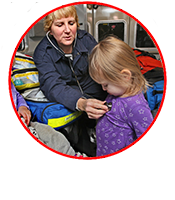 Get the 24 hours you need for EMT recertification in this continuing education course. 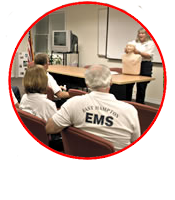 Learn basic life support, first aid, and CPR in this continuing education course. Develop the knowledge and skills necessary to efficiently and effectively manage critically ill infants and children. 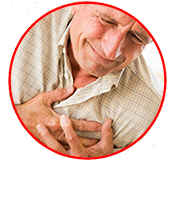 Learn treatments for cardiac arrest, stroke and other life-threatening medical emergencies. 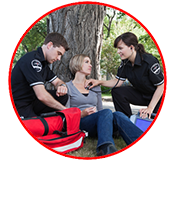 Why choose Texas EMS Academy? We have among the highest certification pass rates in the country. Gain the most current knowledge and skills. Learn the latest AHA and ASA standards. 9-1-1 system for numerous years. One of the fastest programs available in the United States. We don't waste your time or money. Copyright © 2019 EMS Academy of Texas, LLC.